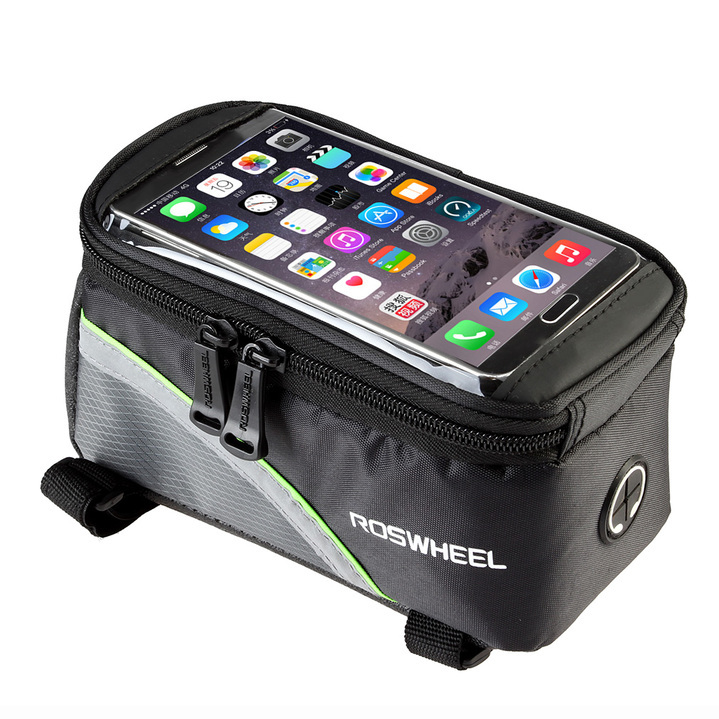 Bicycle storage bag with a clear plastic for touch screen access to your mobile device and headphone hole, compatible with a wide variety of devices. Suitable for most types of bicycle, with magic tape and straps to the Top Tube and front frame. 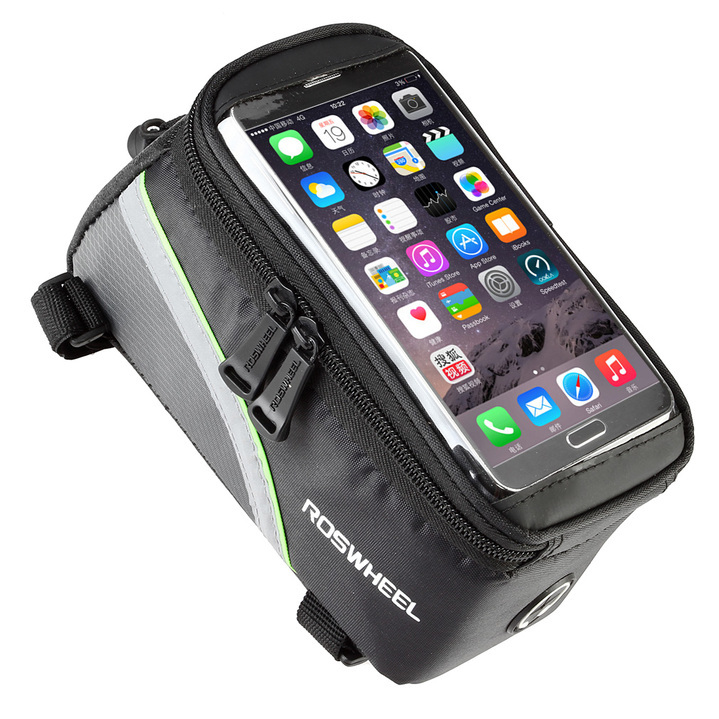 Double zip access to storage compartment to keep your essential items such as your cell phone, wallet, keys, spare tubes when enjoying your ride.